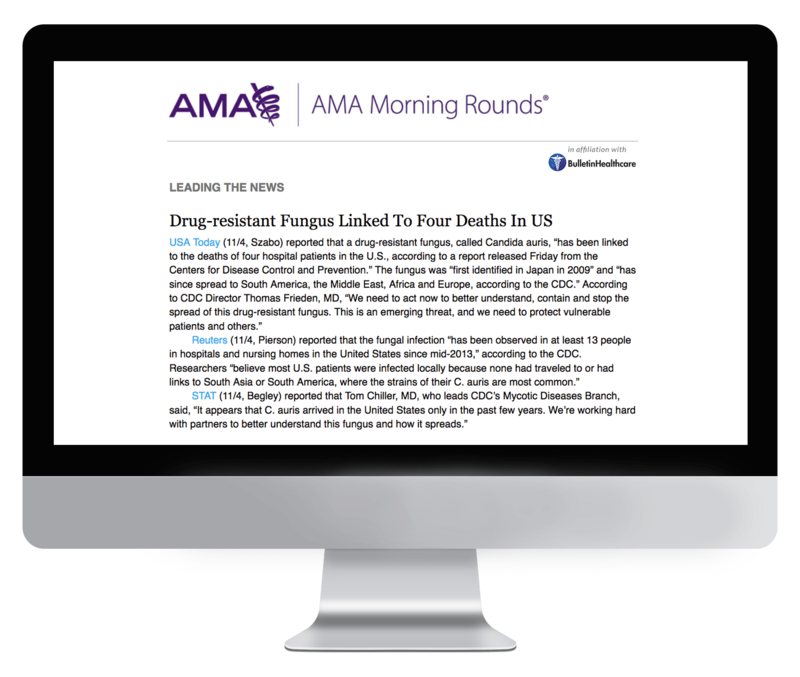 AMA Morning Rounds is the official news briefing of the American Medical Association and is a highly valued member benefit. It is delivered Monday through Friday by 8 a.m. EST. The American Medical Association is the nation's largest physician group. Its membership includes physicians across all specialties of medicine, including surgeons, anesthesiologists, neurologists, primary care, and many others. Subscription to AMA Morning Rounds is exclusively limited to AMA members. If you are a member of AMA and would like to receive this briefing, please reach out to the association directly.